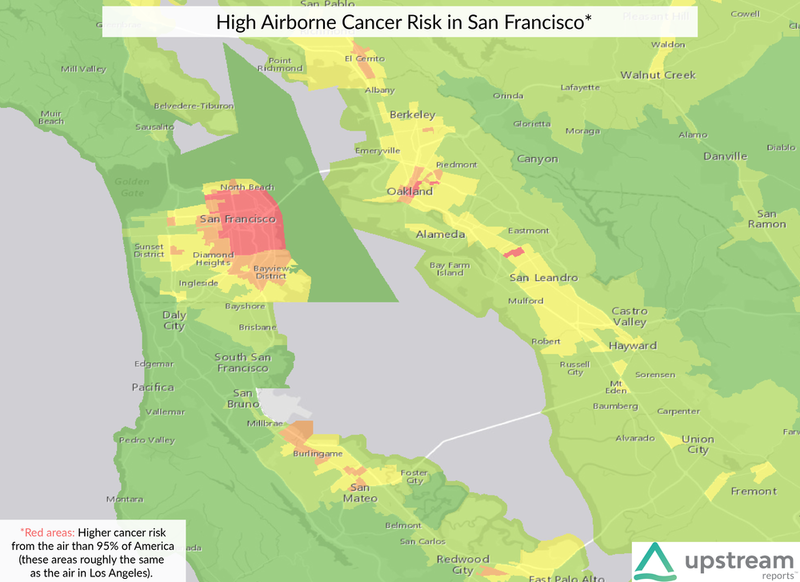 Surprisingly, a number of desirable neighborhoods in major American cities have worse air than Los Angeles by many of the environmental quality measures contained in our Upstream Reports™. The examples below show areas in red where the Air Toxics risk for cancer is higher than that for downtown Los Angeles or the 95th percentile nationally. 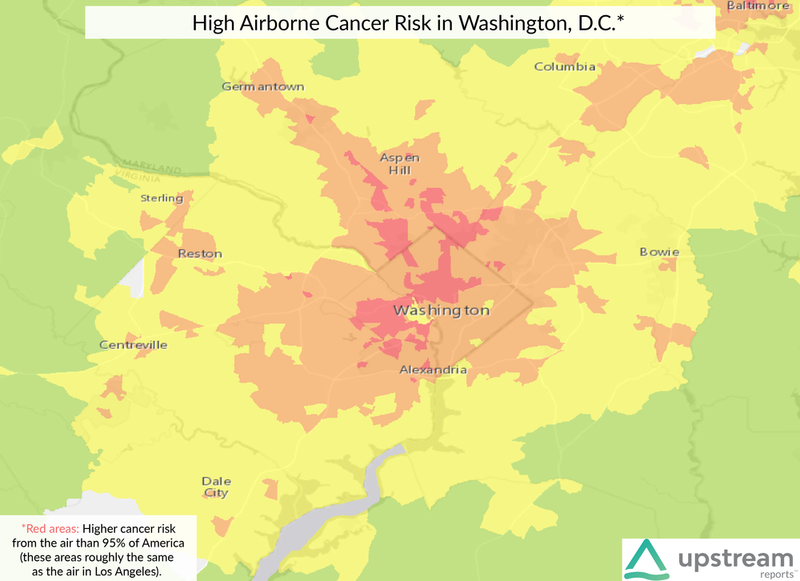 This measure in particular, the Environmental Protection Agency's National Air Toxics Assessment (NATA) totals up major hazardous air pollutants and sources for a given neighborhood to provide risk scores for respiratory disease and cancer. These numbers are given as a lifetime risk out of a million and are relatively low when compared with risky personal behaviors like smoking. However, these maps are relevant for assessing risk to children who are up to ten times more sensitive to hazardous air. To learn more about the air and water quality of where you live, create an account before December 31st and get a free Upstream Report for your neighborhood.